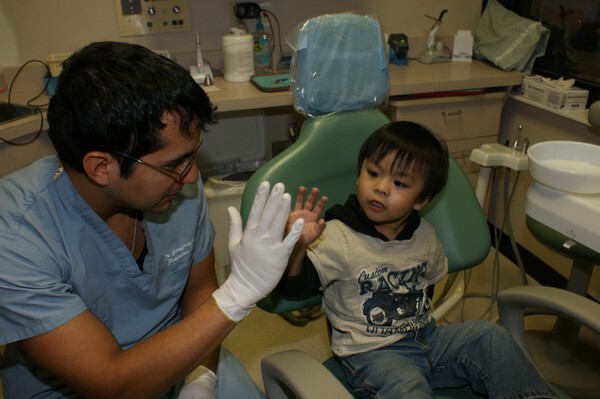 We are dedicated to ensuring your child's first visit to the dentist is comfortable and pleasant. At Little Smiles of Roselle Park, we understand that instilling good oral hygiene techniques in a child's early years is key to achieving optimum oral health throughout adulthood. Our friendly and gentle team is specifically trained and experienced in working with children. We offer the latest technologies to educate children about the importance of good oral hygiene in fun and rewarding ways. Little Smiles of Roselle Park prides itself in being a single location where children and teens receive comprehensive dental care. We are one of the few offices in Union County, New Jersey that offers both pediatric dental care and orthodontic treatment in one location! We are proud to be a Real Tooth Fairy Dentist. Call our FREE, friendly dental advice hotline at (877) 593-3445 or Request An Appointment! We are excited to meet you and your family. Come visit us today. Roselle Park Pediatric Dentists at Little Smiles of Roselle Park is dedicated to Pediatric Dentistry for children that includes Pediatric Dental Cleanings, Exams, X-rays, Fluoride, Sealants and more.